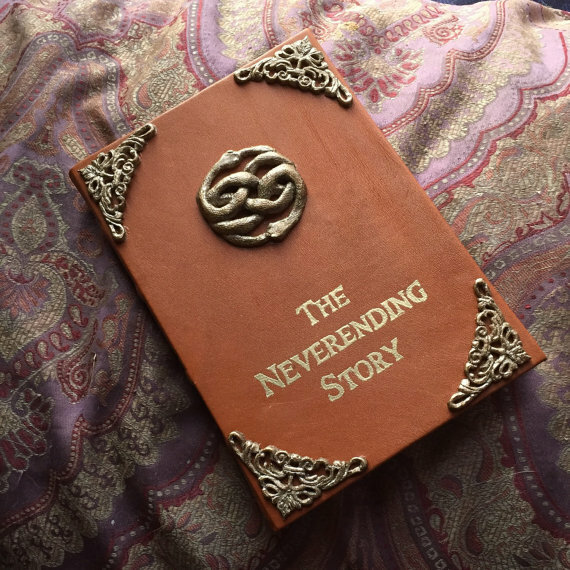 AnEchantedFate is bringing some old-school swag to your e-readers, with handcrafted tablet jackets—refurbished from discarded library books—that recreate some of the classic treasures in some of your favorite childhood fantasy novels, television shows, and movies. 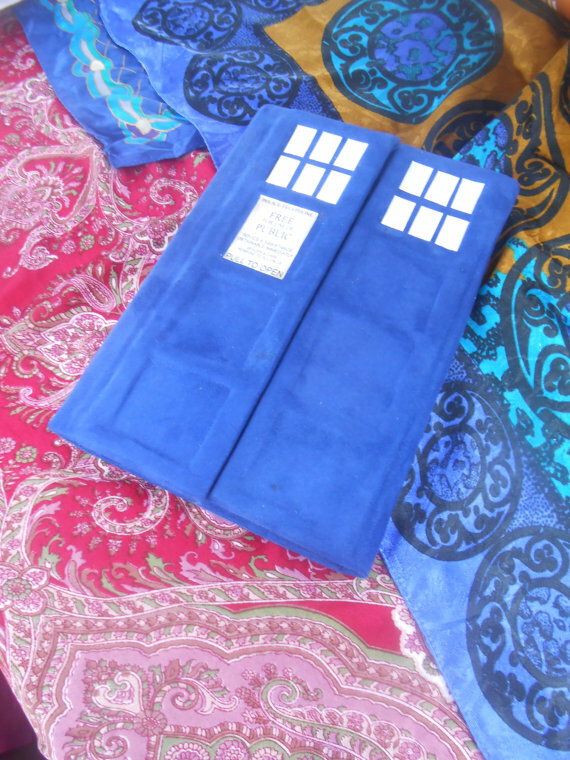 Such replicas include a Tardis time and spacecraft tablet jacket inspired by the sci-fi show Dr. Who, as well as a Book of Shadows jacket found in the magical series Charmed. 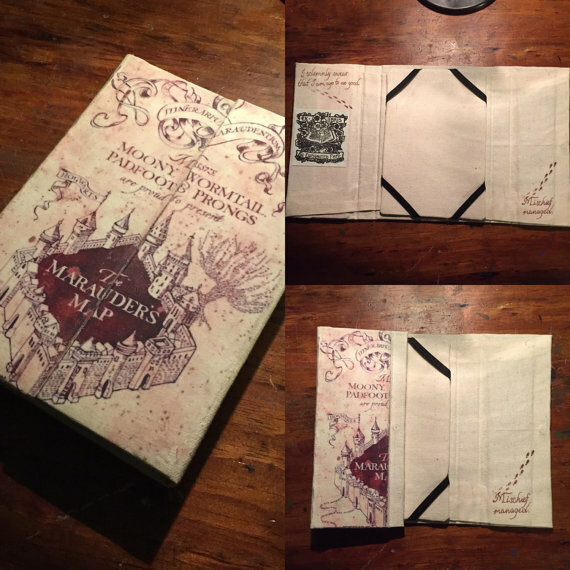 My personal favorite is the Marauders Map turned book cover from the Harry Potter franchise. The acrylic paint on parchment paper-style canvas and MacIntosh’s ability to recreate the intricate details of the original map provide the cover with a unique level of authenticity. It’s about as close to the real Marauders Map you’ll find. 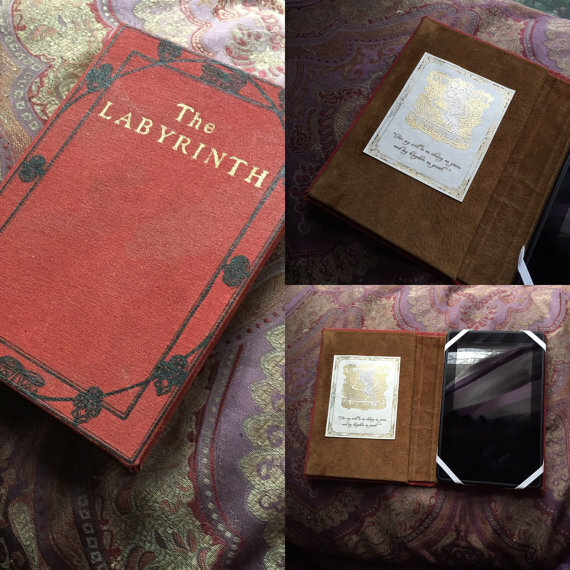 If you’re not really about that e-reader lifestyle, that’s cool. AnEnchantedFate also makes exclusive book necklaces (including one inspired by Tom Riddle’s diary), book earrings, and book purses. You can peep AnEchantedFate’s entire product line here.